Test, measure, and characterize the performance of various audio compression codecs. Perform a loopback test on the codecs by encoding and then decoding simple test signals. The absolute frequency accuracy, frequency response, distortion, and quantization measurements will be analyzed and compared. Sample Rate Stability - techniques for measuring absolute frequency accuracy. Swept Sine vs. WGN - frequency response measurements. Sine Distortion Measurements - techniques for determining SNR, THD, SINAD, ENOB, and SFDR. For a full description of the command line parameters used with the encoding programs see the generation script. Sample clipping is a rich generator of harmonics and distortion. Most of the compression encoders can properly handle maximum amplitude (0 dB) signal sources. The faac, oggenc, and speex encoders cannot. 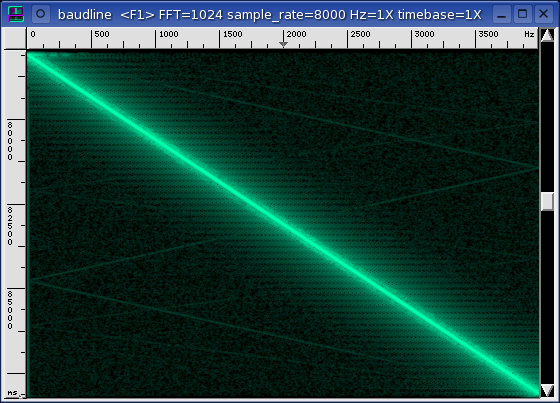 Above is a waveform clipping example that was generated by oggenc with the "-q -1" command line option. The mild clipping of the tops and bottoms of the linear sine wave sweep peaks might not look that bad but in fact the situation is quite serious. 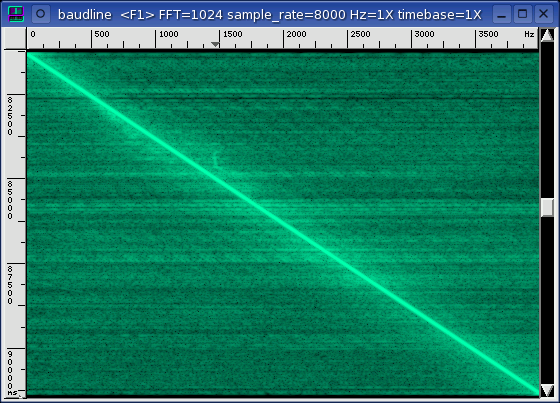 The spectrogram display on the right shows how severe the spectral damage is in the frequency domain. The noise floor is high, the harmonic distortion is running rampant, a lot of folded aliasing is present, and the ENOB is +7.688 bits. This is very poor performance and it shows how dangerous clipping is to signal quality. 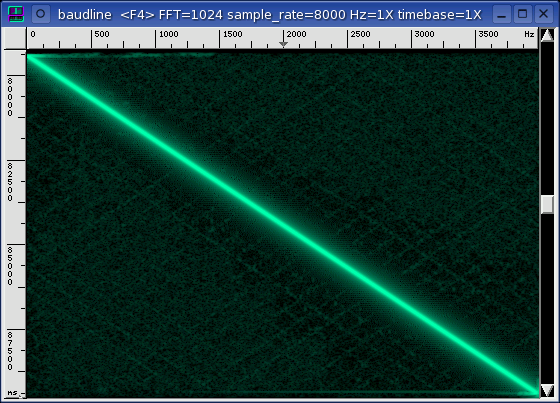 Vorbis and the oggenc encoder clearly do not work well with a maximum amplitude (0 dB) signal source. In an effort of fairness, the encoders that suffered from clipping were fed reduced amplitude signal sources such that all clipping was eliminated. This resulted in greatly improved distortion numbers and much cleaner looking spectrograms for each of the affected codecs. The incorrect processing of 0 dB strength inputs is a major encoder flaw that will result in audible distortion for real world signals. Actually 0 dB signals are very common with CD rips which makes this a serious problem. Clipping near 0 dB is an issue that the encoder developers should address and fix. In the table below the mode column is either CBR or VBR which stands for constant or variable bit rates. For the VBR codecs such as AAC, Vorbis, and Speex a pure sine wave test signal was used for the bit rate kbps calculation. 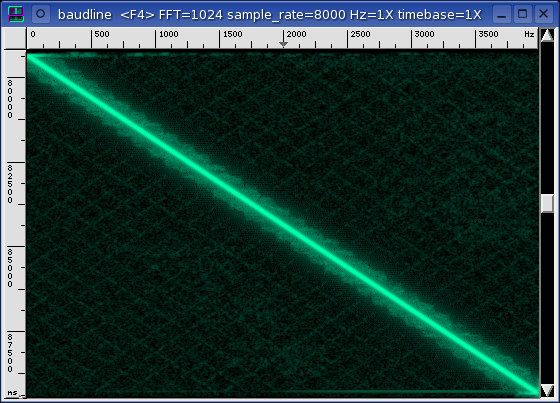 The amplitude column is the digital gain dB setting of the Tone Generator window that was used to create the test signal. AAC, Speex, and iLBC required fairly large dB adjustments to eliminate the clipping. Most of the Vorbis runs needed only -1 dB of change but the effect on performance was very significant. 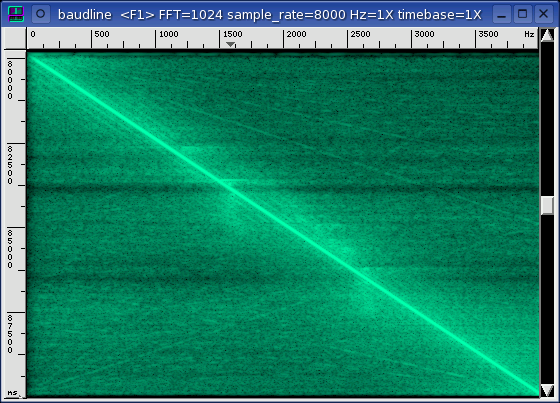 GSM 6.10 had very mild clipping at 0 dB and the attenuation to -1 dB cleaned up some broadband spikes that were visible in the spectrogram display. The larger the dB adjustment, the more significant the problem of clipping with real world signals. Extreme caution should be exercised with the faac and speex encoders. Medium caution should be used with the toast and oggenc encoders. The purpose of this section is to explore the frequency domain response and to measure distortion. In the table below there are three groupings (top to bottom) for each codec test run. A text label title and two screen dump images. Describes the codec under test and any configuration parameters. A number such as 2, 3, 4, 8, or 16 represent encoding bit depth. Encoder command line parameters can also be present in the codec titles. For example "PCM 16" stands for linear PCM 16-bits per sample. 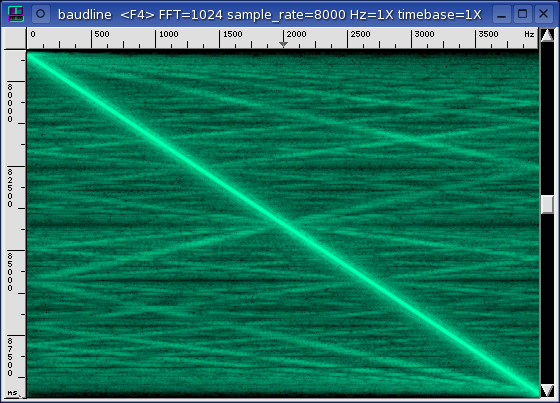 The spectrogram display shows the 10 second 0 to 4000 Hz linear sine sweep. 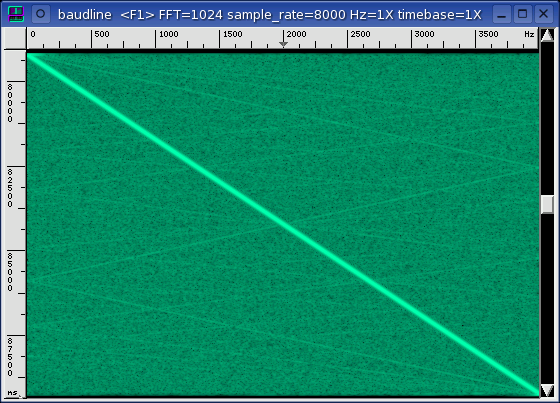 Noise floor intensity, harmonics, alias folding, and other sorts of frequency dependent distortion are visible. 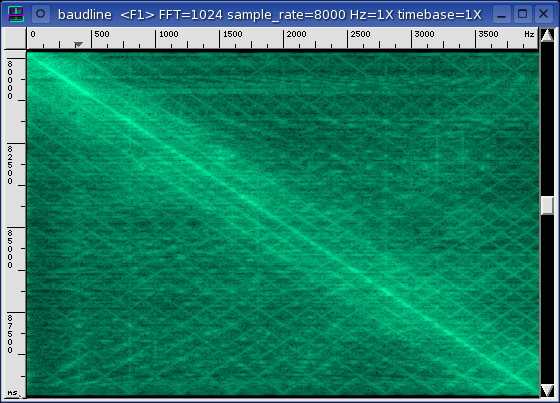 Below the spectrogram is the Average window which shows the spectrum of the constant sine wave, linear sweep, WGN, and in some cases the noise floor. The green curve is the sine which is also used for the distortion measurements. The orange curve is the WGN and the cyan curve is a copy-n-paste of the linear sine sweep. The occasional purple curve is the noise floor. The WGN and the linear sine sweep characterize the system frequency response and for most codecs they are identical with the sweep being +10 dB stronger. Codecs are complex machinery and when the WGN and sweep plots differ in shape then something interesting and nonlinear is going on inside. A flat response is ideal. The following table of measurements were made using the sine distortion technique to measure the various SNR, THD, SINAD, ENOB, and SFDR metrics. See the distortion measurement window for more information. 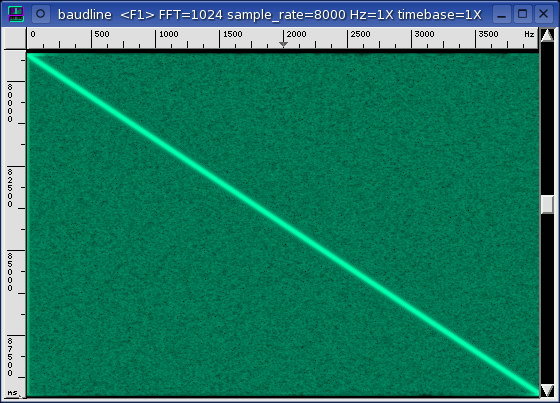 The Hz error column is a measure of frequency accuracy that utilizes a method described in the sample rate stability technique. The PCM 16 codec is used as the baseline of performance with it's +0.2308 PPM Hz error. The error should of been exactly zero PPM but because of the short duration of sample data and statistical variation an error of around ±0.5 PPM should be assumed. The Hz errors that are out of this range are marked with a "*" symbol. GSM 6.10, LPC-10, iLBC 30 ms, all of the AAC's, the first Vorbis, and half of the Speex's fell out of the error zone. 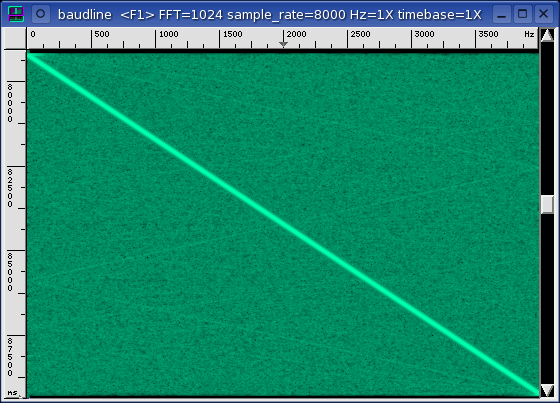 A 32768 point FFT was used to investigate this frequency error further. 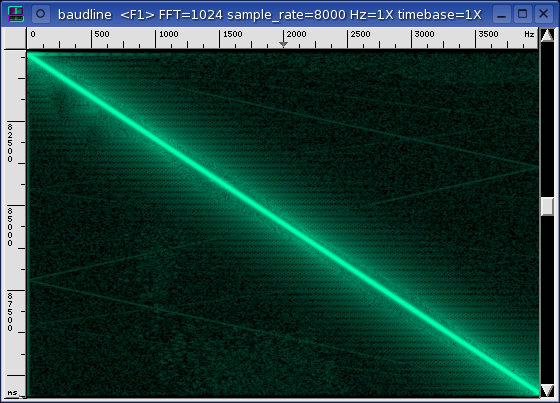 It was found that only LPC-10 and Speex q=0 had actual frequency offset errors. 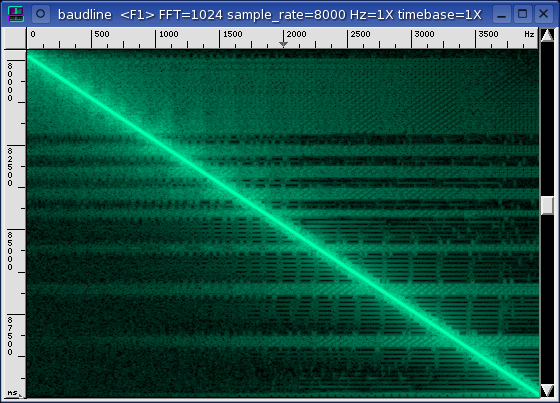 The other suspect codecs only suffered from modulation sidebands and not true frequency errors. 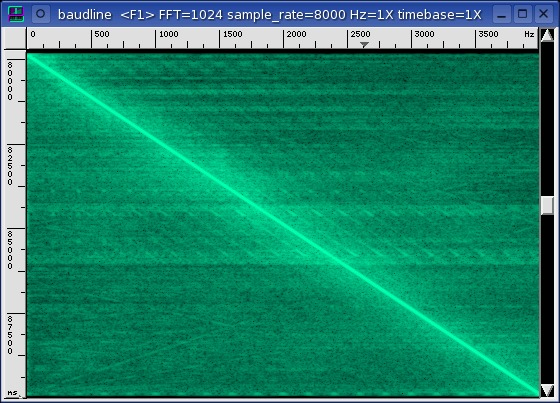 Linear PCM 16 is the 16-bit baseline reference that was the signal source for all of the other codec tests. It's ENOB performance is almost an ideal 16 bits and PCM 8 is half of that as it should be. The distortion measurements scale with bit quantization noise as expected. PCM 8 has a DC offset (0 Hz) error of +35 dB that is likely caused by a bug in sox. These companding codecs should have 78 and 84 dB of dynamic range but the SFDR measurements do not reflect this. While the logarithmic transform mappings do support this dynamic range claim the harmonic distortion added by the companding noise cut these claims almost in half. Companding noise is like quantization noise but worse. 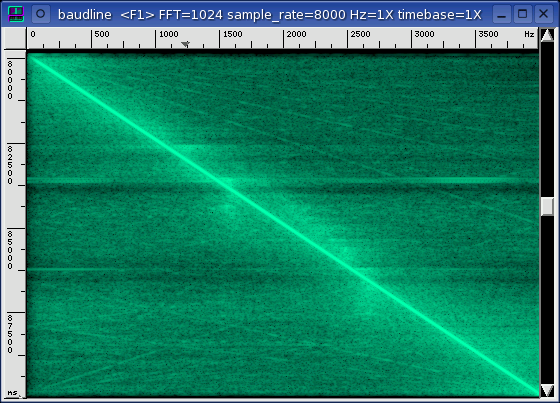 The significance of this is that dynamic range (the ability to support high amplitude signals) is not the same as SFDR. A-law and u-law's dynamic range might be good for voice communications but the lower distortion measurements that result hurt the modem channel capacity. PCM 8 has much better distortion numbers. The distortion performance of GSM 6.10 and PCM 8 are almost equivalent which is very impressive when the 13 kbps bandwidth is considered. 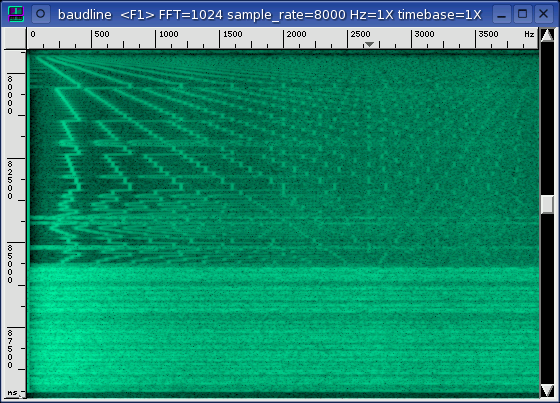 The noise floor is fairly low and the folded artifacts in the spectrogram sweep are interesting. The amplitude of the sweep past 2000 Hz fluctuates wildly with a delta of ±5 dB which indicates some sort of resonance in the internal filter banks. 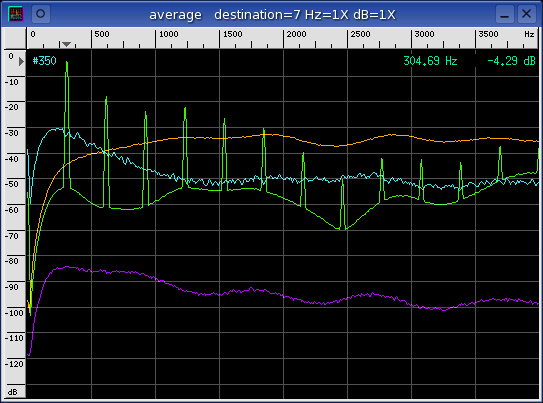 The silence noise floor has an interesting 200 Hz fundamental with harmonics. A square wave twiddling of the bottom bits could generate this error and it is likely a bug in the toast encoder / decoder. 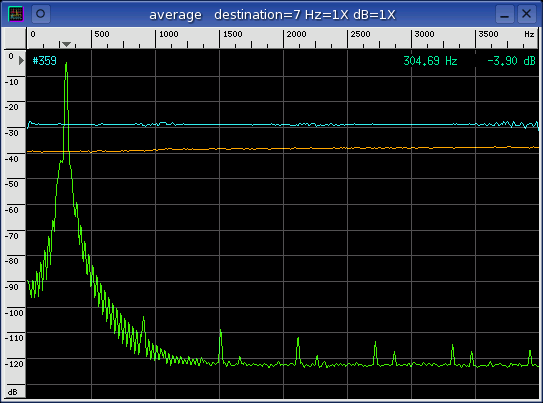 G.721 ADPCM has distortion measurements that are almost equal to PCM 8. MS ADPCM comes in a close second with a 0.65 bit lower ENOB measurement. All of the other 4-bit ADPCM's have an ENOB that is 1.8 bits lower than MS ADPCM. The value of 1.8 bits is significant and supports the common belief that MS ADPCM is better than IMA ADPCM. Also of interest is that the 3 and 2 bit ADPCM's respectively have almost exactly 1 or 2 bits less of ENOB than their 4-bit counterparts. All of the MP3 bit rates from 8 to 40 kbps have an ENOB of about 15 bits. None of the other codecs in this comparison survey come as close to the performance of PCM 16 as MP3 does. This is very impressive, especially for a compression codec that is considered antiquated. 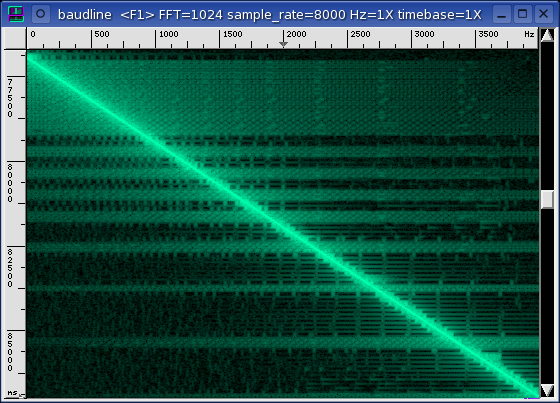 See the MP3 spectrogram images. The first visible trend is that as the bit rate increases the lobe width / noise decreases which implies that more bits results in a more accurate sweep. The second visible trend shows an interesting side effect of more bits is that MP3 starts making subtle spectral noise floor mistakes. This is counter intuitive. 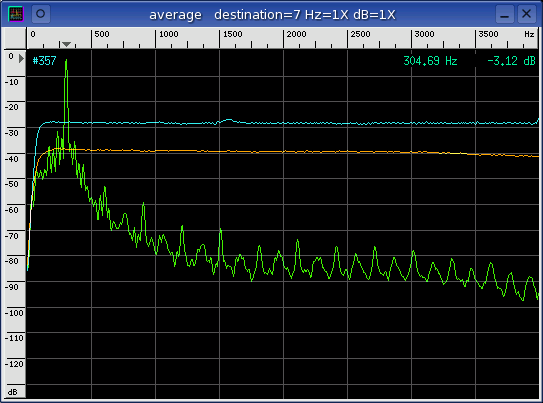 The distortion performance of AAC is not as good as MP3 which is surprising since AAC is the more modern codec. Increasing the bit rate by adjusting the "-quality" setting improves the ENOB at the highest setting but hurts the ENOB at the middle (default) setting. 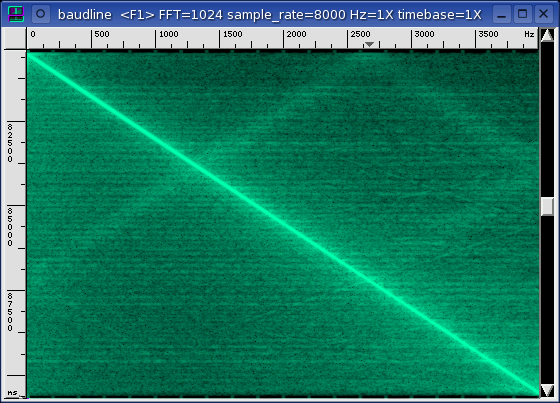 Looking at the spectrograms highlight an interesting spectral block structure. There must be an algorithm that kicks in above 1000 Hz at work because the block mode structure changes to some periodic pulses in the noise floor. This is probably due to algorithmic perceptual decisions that are occurring when the main frequency is higher than 1000 Hz. AAC at all three quality settings has significant Hz errors. The worst is at "-q 10", the lowest setting, with almost 100 PPM of frequency error. 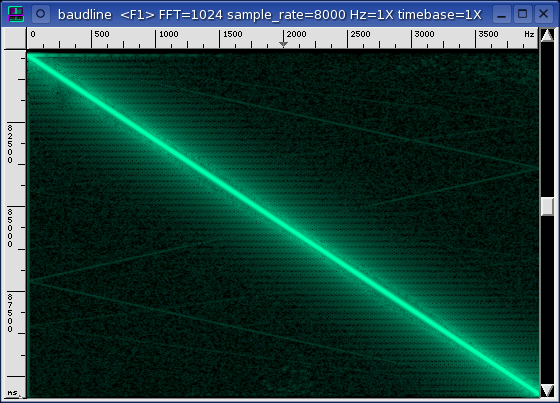 A 32768 point FFT was used to further investigate the Hz error and modulation distortion sidebands were found to be the cause. 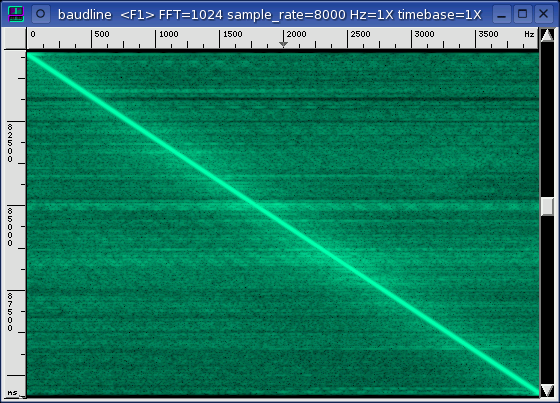 The Vorbis codec starts out strong with an ENOB of +10.749 bits at the "-q -1" setting. Then the ENOB performance drops as the bit rate is increased which is completely counter intuitive. The ENOB does finally climb up to +11.584 bits at the highest and final "-b 42" setting but something is wrong with sine sweep amplitude. There are -10 dB holes at 1500 and 3000 Hz. This is odd because none of the lower quality settings have this anomaly. The spectrogram sweeps look almost identical at all of the quality settings. The only minor difference is a slight increase in the noise floor texture as the bit rate increases. It is like Vorbis is using the extra bits to incorrectly fix the noise floor and not allocating them to improve the linear sine sweep. The distortion performance of Vorbis is not as good as either AAC or MP3. Vorbis also doesn't appear to scale well with bit rate. It's performance as a function of bit rate is quirky. The Speex q=0 setting has an ENOB of +1.036 bits and a Hz error of -345.52 PPM which respectively are the lowest and the second worst seen in this compression codec survey. The sine wave has strong harmonic distortion and the Hz error is caused by modulation distortion. 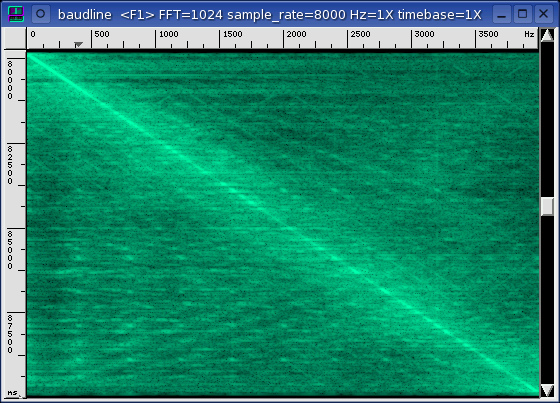 The spectrogram frequency sweep is more of a hazy drifting cloud than it is an increasing sine wave. Speex's performance improves at the higher quality levels with a fluctuating ENOB between 5 and 9 bits. The Hz PPM error is also much lower than it was for the q=0 case. 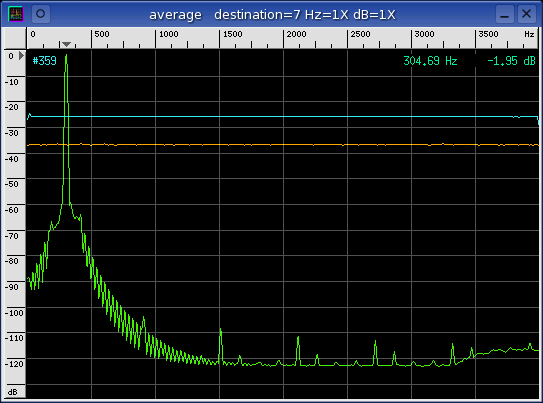 The harmonic distortion is strong at q=1 and it decreases with the higher quality settings. 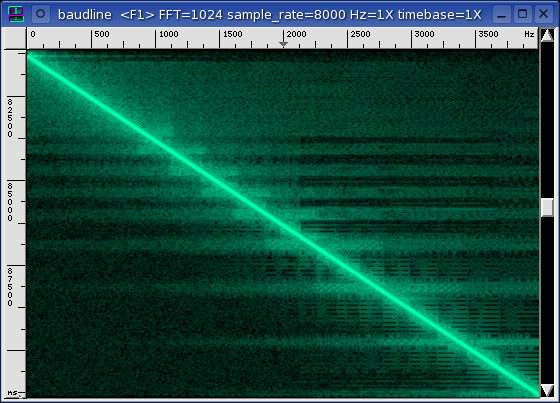 Interesting features are present in the noise floor of the spectrogram sweep. A fuzzy drifting cloud at q=0. Strong crosshatch noise floor and a wildly fluctuating sine sweep amplitude at q=1 and q=2. Noise floor discontinuity levels and a tighter sweep response at q 5 through 10 settings. The differences are very interesting. No other codecs on our list have such drastic transitions as the bit rate is changed. The LPC-10 has 1.6 bits of ENOB which is extremely poor. Even 2-bit ADPCM is significantly better. 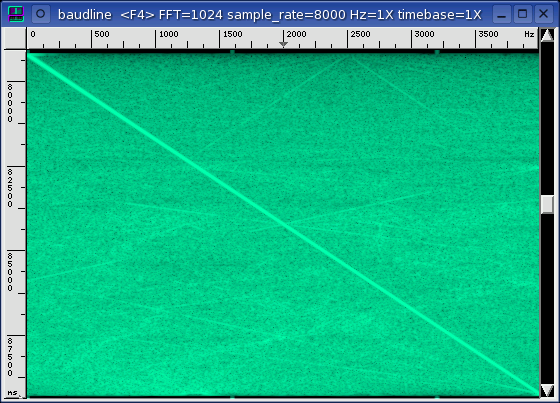 The silence noise floor is the highest of all of the test codecs. Not sure if the noise floor is an accident because it's frequency response closely matches that of the WGN test source. 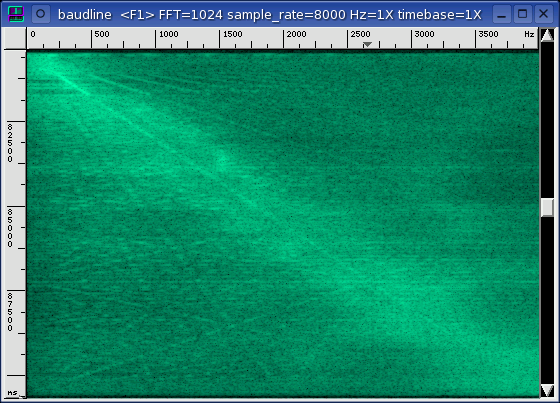 The linear sine wave sweep spectrogram is particularly revealing. Very strange zigzag like harmonics are visible and discrete tone banks can be seen. The sweep stops at 2500 Hz and frequencies past that turn into wideband noise. 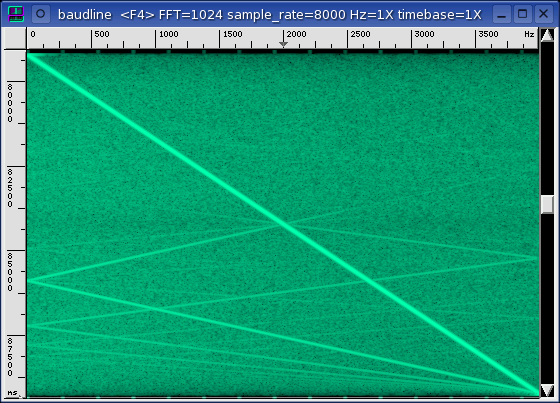 There also appears to be alias folding around a 2500 Hz point. 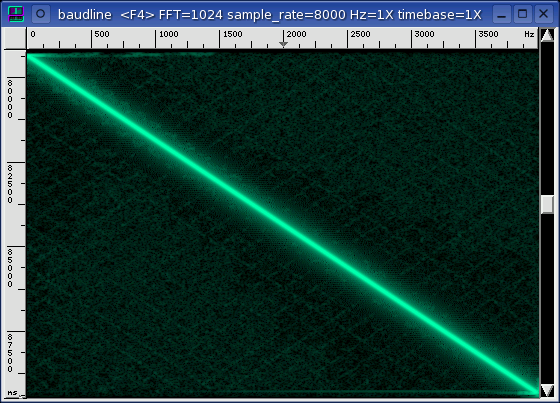 This suggests that LPC-10 is internally resampling to a 5000 sample per second rate, and doing so with very poor filters. The Hz error of +18882 PPM is the worse seen in this survey. 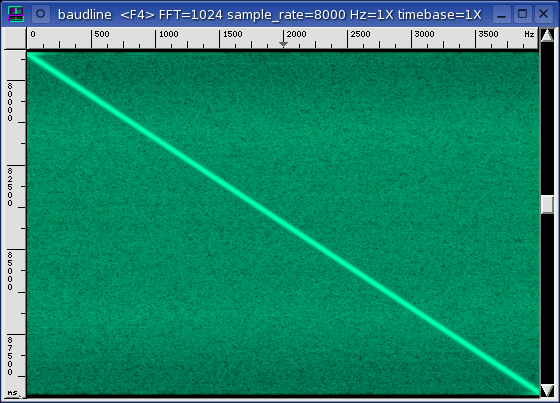 A 32768 point FFT was used to verify this error and the main frequency is very clean but it is offset by almost 6 Hz! 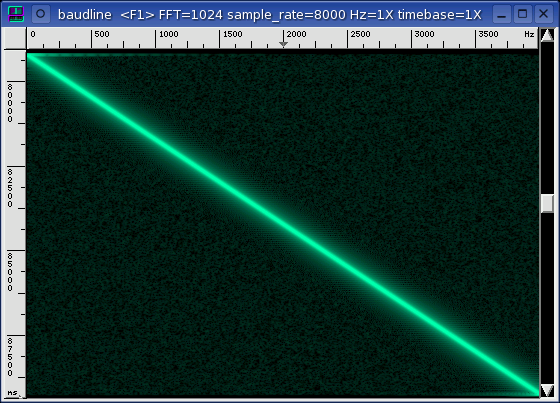 With the test signal, LPC-10 has a third of a semitone of frequency error. This much error will clearly be audible and it could make tonal speaker identification difficult. The LPC-10 codec wins a prize for the craziest sounding sine wave sweep. Actually, the sine wave sounds more like a triangle wave due to the severe amount of distortion. The LPC-10 linear sweep begins with the sound of an accelerating race car frantically shifting gears when all of a sudden something goes horribly wrong - panic, chaos, impact with a brick wall at 2500 Hz, bursting into flames. This eloquent analogy sums up LPC-10's performance perfectly. Download the file nuke_lpc10.wav.gz to listen. 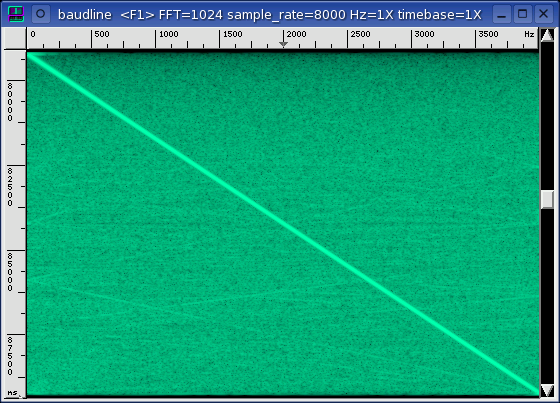 Both 30 ms and 20 ms iLBC share many of the same spectral artifacts. 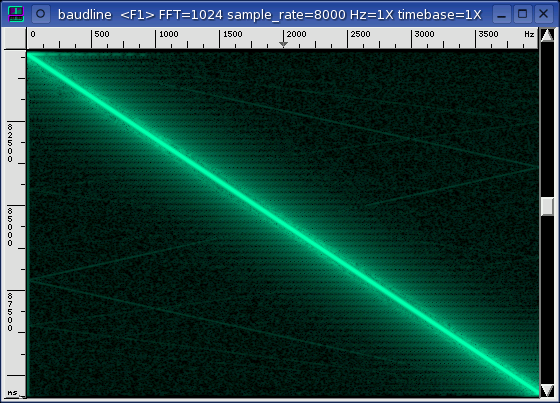 Prominent low frequency roll-off (HPF) at 140 Hz. Brief noise floor drops and resonant noise clouds when the sine sweep hits 1550 and 2630 Hz. Strong modulation side lobes that parallel the fundamental tone sweep by about 150 Hz. 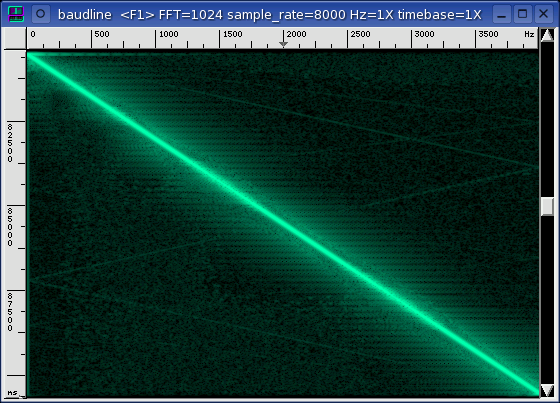 A white Gaussian noise (WGN) signal source was generated and encoded by the different compression codecs. The Histogram plots below show the unique sample distributions. Requantization to 8-bits makes half of the 512 bins empty. Different log companding levels. Zooming in shows even more detail. Different log companding levels. Very similar to A-law. Split center with strong bin zero (silence) spike. Note the 16X zoom factor. 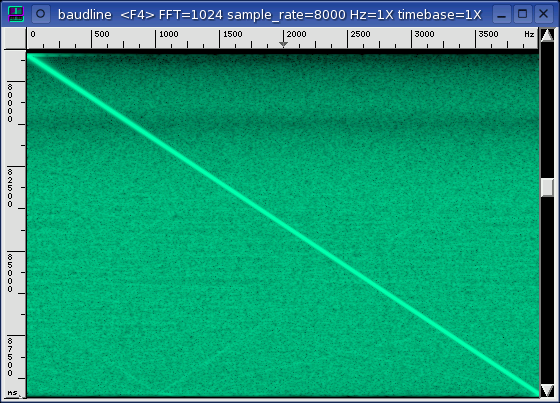 Slender exponential with strong bin zero (silence) spike. Slender exponential. 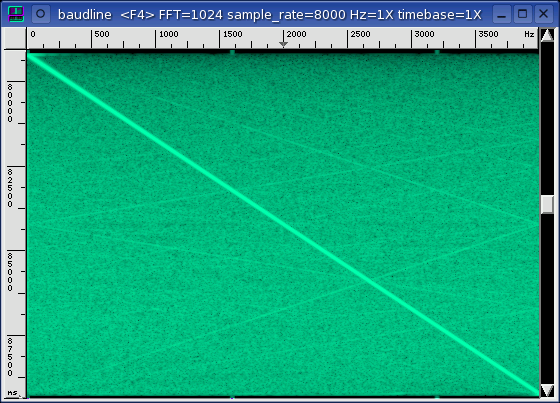 Similar to GSM 6.10 codec. Visually comparing the spectrogram sine sweeps and the average window filter responses for the different audio devices reveals many interesting details. The efficiency calculation is an interesting measure of the coding quality. Efficiency can be thought of as how many bits of ENOB performance does each coded bit generate. The efficiency calculation results in a bit-for-bit measure where the bits cancel and the units are "samples." Higher values are better. The ADPCM codecs ranged in quality from 1.33 to 1.97 with G.721 being the leader. Of the two ADPCM codecs that operated at multiple rates the 2-bit version was slightly more efficient. On the other hand the ENOB drops by one bit when the rate is reduced by one bit so the ADPCM algorithm scales. 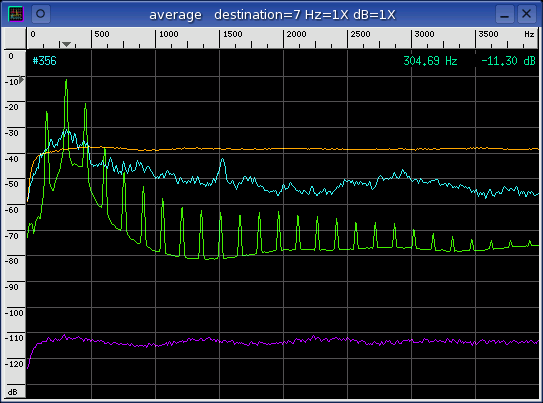 From a histogram point of view MS ADPCM, G.721 ADPCM, and Rockwell 2-bit ADPCM all had quantization deformities. It is strange that these quantization errors did not translate into lower ENOB distortion measurements. It is also odd that these three codecs had the highest ADPCM efficiencies. Theoretically, quantization errors are a cause of THD and lower SNR. Maybe there is a universal trade-off explanation for this quantization / ENOB efficiency correlation? Of the lossless codecs; bzip2 and flac had almost a factor of 2 compression ratio while gzip had almost no effect. The sine wave's 301.99 Hz frequency made the samples very unique and non-repetitive so it is surprising that bzip2, a generic entropy compressor, slightly out performed the highly specialized audio compressor flac. With ADPCM, MP3, AAC, and Vorbis the bit efficiency decreases as the bit rate increases. The trend is also true for Speex if the q=0 entry is ignored. This observation implies that compressing a sine wave is more efficient at the lower bit rates which means that the efficiency isn't a constant and it doesn't scale as a function of bit rate. In fact it has the inverse relationship and is completely counter intuitive. The diagonal red line cutting the graph in half is the baseline level of performance. It represents the uncompressed linear PCM 8 and 16 data points and the extrapolation to zero. 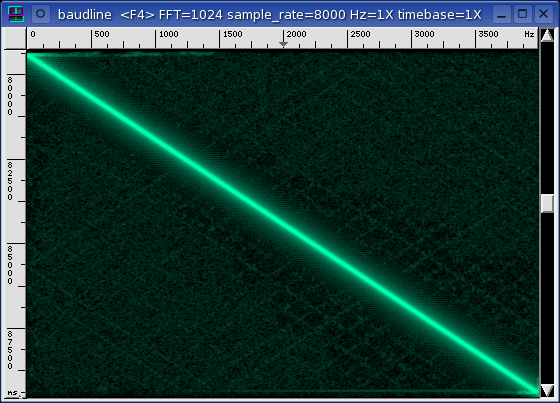 The further a codec is above the red line, the more efficient it is. Also, the closer a codec's position is towards the upper left corner limit (zero kbps bandwidth with 16 bits ENOB), the more "perfect" it is. A-law and u-law are the only codecs below the red baseline. The 2, 3, and 4 bit Rockwell and ZyXEL ADPCM codecs form a straight line that is parallel to the red baseline. The 4-bit G.721 and MS ADPCM codecs are not like the other ADPCM codecs. What if 1, 2, and 3 bit ADPCM versions of those codecs were possible? How can the "V" shaped dip at the middle bandwidths of the AAC, Vorbis, and Speex codecs be explained? 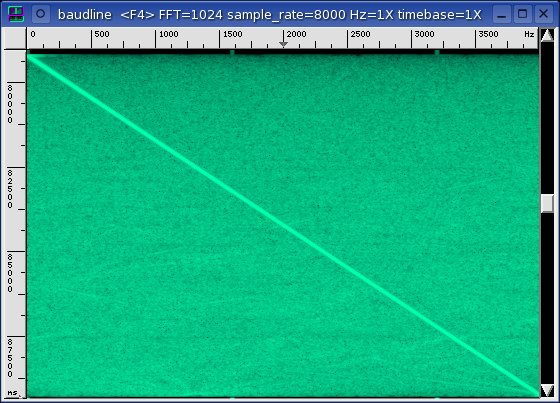 GSM 6.10 looks like it should be a data point for Speex. LPC-10 at 2.5 kbps is on the Speex curve. It also looks like the parallel 2, 3, and 4 bit ADPCM line if extrapolated down to 0.3 bits would intersect with the LPC-10 data point. MP3 has a dominate position closest to the top left corner. It looks like the music codecs perform better than the voice codecs for this particular sine wave test. Exceptional algorithmic compression performance was seen in the codecs that had an efficiency greater than 10. These codecs were MP3 -b 8, AAC -q 10, Vorbis -q -1, Vorbis -b 8, and Speex q=1. Of this group only Speex q=1 had an unusually shaped histogram, the other codecs had normal Gaussian shaped histograms. 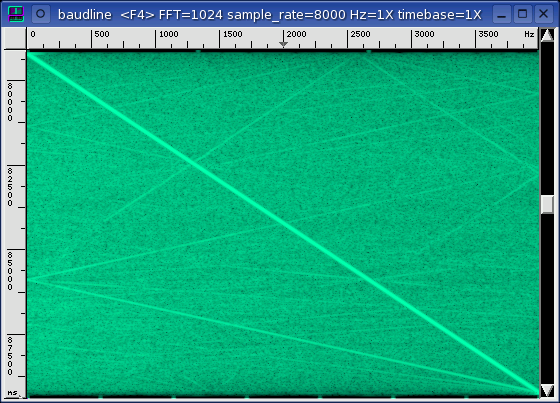 Vorbis and MP3 had frequency sweeps with the cleanest looking spectrograms. 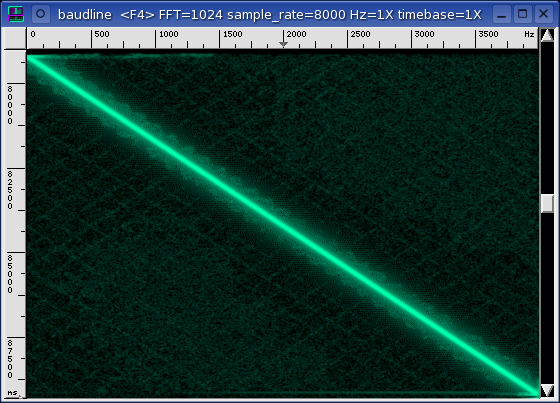 Unfortunately Vorbis had a severe clipping problem with maximum amplitude (0 dB) signals. Also MP3 had an ENOB of 15 bits compared to Vorbis' 10 bits. 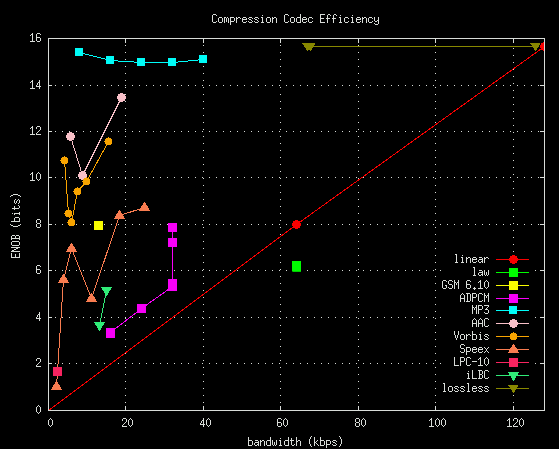 MP3 at 8 kbps (-b 8) is bit-for-bit the clear winner as the most efficient coder in this audio compression codec survey. The MP3 encoder Lame is the reason for this high level of performance. The iTunes and the blade MP3 encoders were also evaluated but they were not included in this codec compression survey because of their poor performance.